A quality sign to find on your wine. Another year, another Veritas, another visit to the faded glamour of the Cape Sun on Strand Street. This year Veritas comes of age at 21, confirming its crown as South Africa’s biggest wine competition, with 1739 wines entered. That’s just six more than last year, an indicator of tight times, perhaps. 1427 of them (82%) were awarded some sort of gong. And if you like stats, here they come: last year’s figures are in brackets. 42 Double Golds: 2.4% (3.7%). 158 Golds: 9.0% (7.5%). 609 Silvers: 35.0% (29.4%). 618 Bronzes: 35.6% (38.8%). Pretty consistent. Veritas is, too, the “most highly esteemed indicator of quality market ready wines.” Or so the marketing blurb tells us. And it might very well be. Dave Hughes, a man of some repute in wine circles, opines that “there is not a wine competition in the world with a better judging and management system than Veritas.” And yet this is also the man who was recognised as a Veritas Legend this year. Should we be cynical? We hope not. The reality, though, is not that the judging rigour should be doubted – it is blind tasting, after all, which objectively sets it way above Platter’s sighted process, for a start – but that, as ever, only about half the wineries in South Africa enter the competition. So some very big names aren’t even on the Veritas radar – Ataraxia, Beaumont, Boekenhoutskloof, Springfield and Vergelegen appear not to feature, to name but a few big names. And bearing in mind these producers regularly receive five star ratings, this makes the Veritas shows much-vaunted Golds and Double Golds less than representative of the choices Jo Punter has out in the street. Still, it is a good sign that the awards only admit producers able to produce a minimum of 1200 bottles of the wines they submit for adjudication: that does indicate good availability for those lucky enough to afford some of the wines (I heard a figure of R450, I think, for a bottle of Beyerskloof Faith: you’d certainly have to have a great deal of faith in the product to pay that sort of price when all around are considerably better value options). However, the joy of Veritas is the good value discoveries, not the often-predictable big guns with their equally substantial prices. But the problem is, of course, that there is no chance of your getting round the 200 or so Double Golds and Golds on offer. So you have to be selective and inevitably you miss some new discoveries. 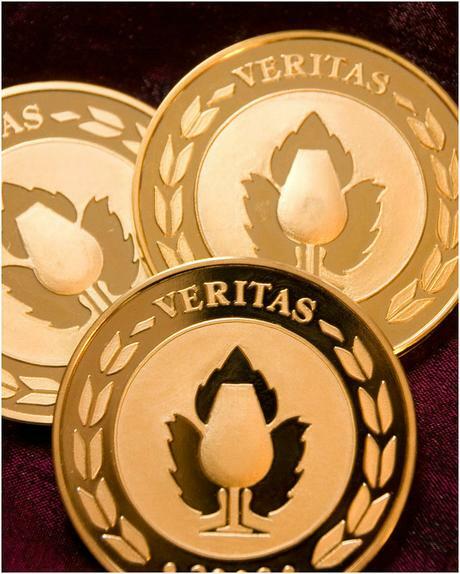 This year there were also 36 brandies submitted and 33 won medals – and brandy was only included in Veritas for the first time last year. And we didn’t manage to get to any of them. One suspects there’s very much a market for a more considered and separate brandy tasting event if the standard really is as high as the gong count seems to indicate.